As early as 2008, the founders were working on a technology that would allow microbial testing to meet modern society’s demands for accurate and detailed information. For decades the world and society were developing at an ever more rapid pace where the techniques for accurately detecting, qualifying and quantifying bacteria, yeasts, moulds and viruses had stalled in meeting the increased challenge of that societal pace. For 2 years, BioTrack focused on the research and development of such a technology. This was combined with an intensive communication and testing program within varied fields of endeavor. . R&D together with in-field practical use was combined to meet all demands and expectations and lead to a commercial in-field testing platform, AquaScope. In 2010, it became clear that the technology as developed was indeed viable, and a tremendous amount of interest was generated from different fields of endeavor. This leaded to the foundation of Biotrack. 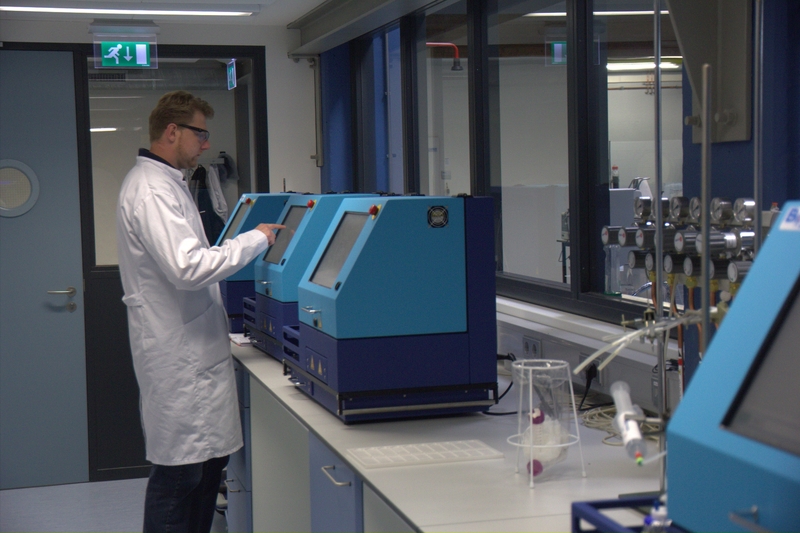 Biotrack B.V. was formed in 2011 when Dutch Water Technologies recognized the necessity to develop a “Biological Information Technology Platform” around this newly developed technology inherent in AquaScope and other related product sets designed for airborne detection of spores. The founders of Biotrack, Reimond Olthof, Antoine Engelaar and Gerard Schouten, assembled a team of specialists in all necessary related fields. Key disciplines were microbiological experts and high level Bio Informatics specialists, image analyses experts and software design specialists. All necessary disciplines were joined into one team with one prime ambition: to develop the world’s first Biological information technology platform, therein setting the next standard for in-process rapid microbiological monitoring. Biotrack started working from Leeuwarden, The Netherlands in 2011. Today a large part of Biotrack’s R&D still takes place in Leeuwarden. In May 2013, Biotrack moved into a completely new state-of-the art laboratory in Leeuwarden. Since 2014, assembly and production has taken place in Sneek, The Netherlands, where Biotrack’s parent company is also located. With a fresh approach, and out of the box thinking, Biotrack created a new way of microbial testing; a new technology that allows for the possibility of culture free microbial testing. This technology forms the basis for the first genuinely new Bio Information Technology platform, AquaScope. Biotrack patented its technology through a range of patents regarding its equipment which were designed to capture bacteria from air and/or fluid samples, while providing qualitative as well as quantitative data results. Now Biotrack develops and produces several products that are cleverly engineered into small compact systems applicable in a myriad of applications useful in a wide range of industries.